ESL Shipping is the leading shipping company transporting dry bulk cargo in the Baltic Sea. 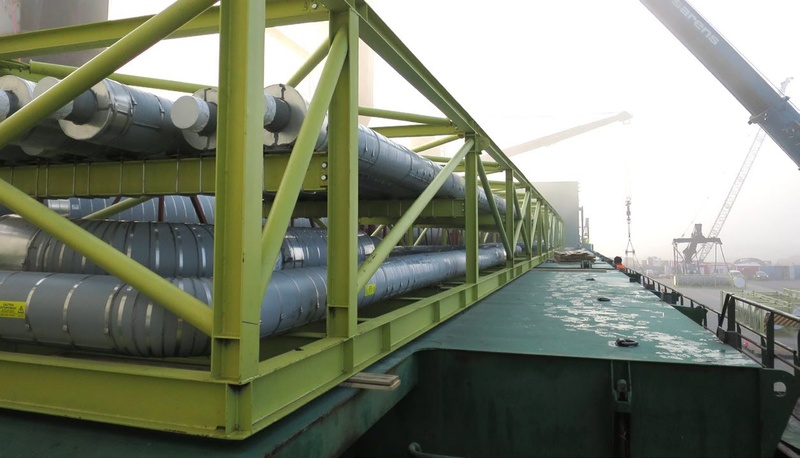 It secures raw material transportation for the industry and energy production around the year, even under difficult weather conditions. Its key customer segments include the steel, energy and mining industries. Its vital raw material deliveries make ESL Shipping an integral part of its customers' logistics chain. The company has made a significant investment in the world's first LNG-fueled handy-size dry cargo vessels. These will start operations in 2018. The shipping company transports, in particular, the important loads of companies that utilize the just-on-time operating principle. This requires high flexibility and reliability from the shipping company. As a result, ESL Shipping gains a significant competitive edge from its long-term customer relationships and good reputation. ESL Shipping operates in the entire Baltic Sea region. The shipping company's geared vessels are especially designed to operate in the demanding conditions of the Baltic Sea. The ice-strengthened and relatively shallow-draft ships are able to safely enter even the shallowest ports fully laden. All vessels are also equipped with a bow thruster and most vessels are equipped with separate cranes. This reduces their dependence on loading and unloading equipment and tugboat services at ports. In addition, the shipping company's vessels are able to quickly and safely load and unload other vessels, also at sea.